When the Worcester Lunch Car Diner company went into operation back in 1908 they needed a way to show to potential clients just what it was they were all about. So eventually in 1948 they created the “Star Diner”. This was Diner #812 (they didn’t start their numbering at #1 for luck reasons 🙂 ). 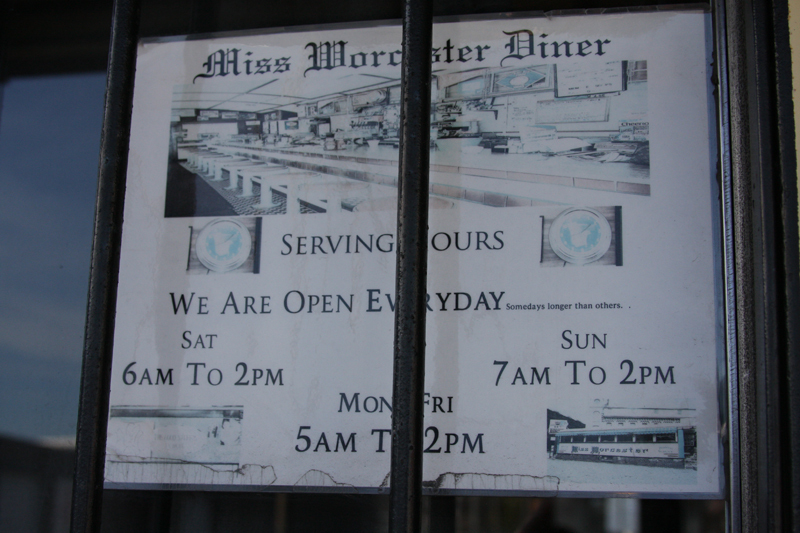 The diner took on its current name “Miss Worcester” just two years later in 1950. It’s literally right across the street from the brick factory. 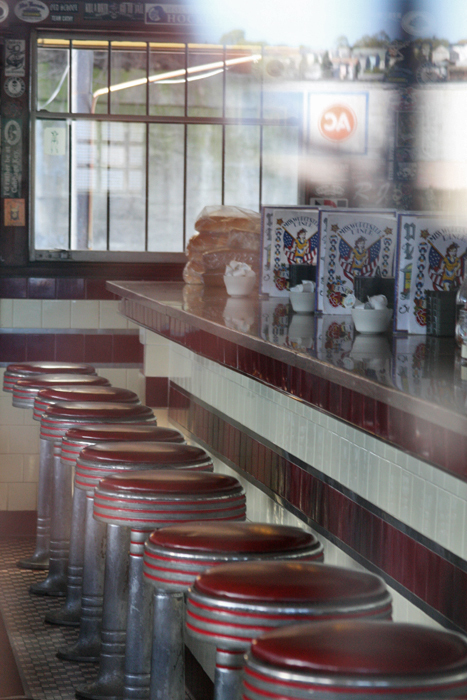 In this next image my back is against the factory while I’m taking the photo of the diner. 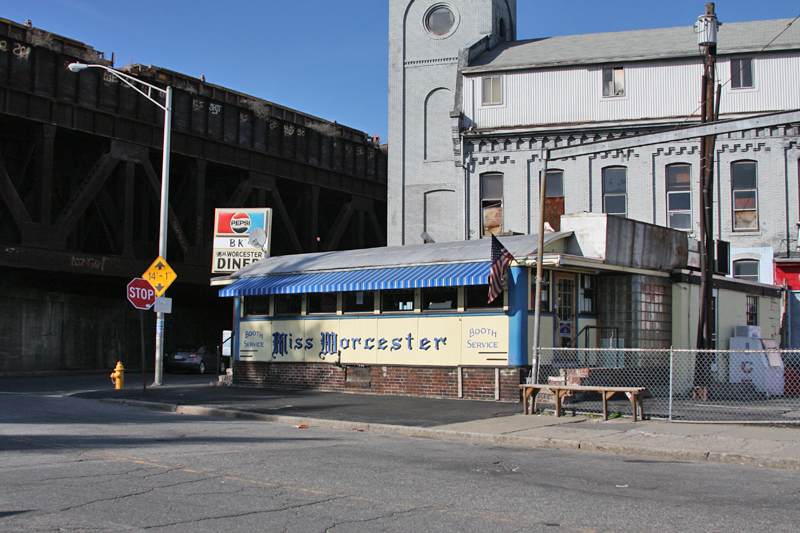 You can see how the diner is wedged up against the underpass, at the corner of Quingsigamond and Southbridge. This isn’t exactly the nicest part of town. 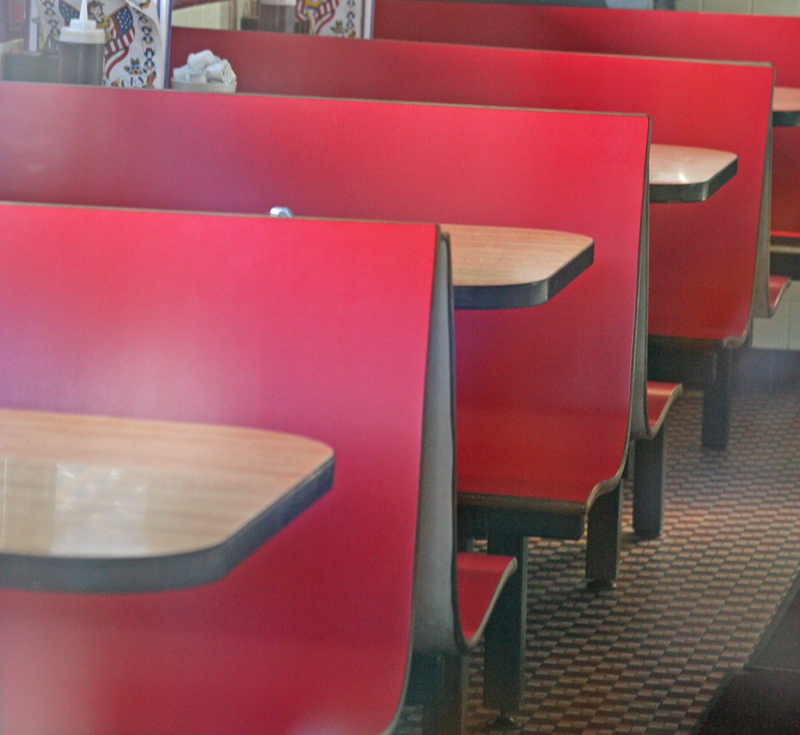 Still, that adds to the diner’s quiet charm. The inside is quite lovely. There are red stools with metal highlights. There’s a row of red booths opposite them. Here’s a look at the benches. 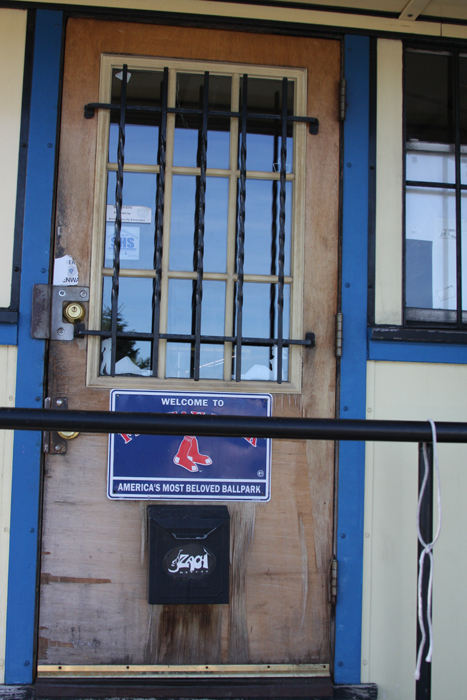 While some diners are open all day long this one is strictly a breakfast and brunch spot. There’s a few steps up to get in the door. The Miss Worcester is on the National Register of Historic Places, #03001178. There isn’t an offical website for them but you can read through reviews on their Yelp page! 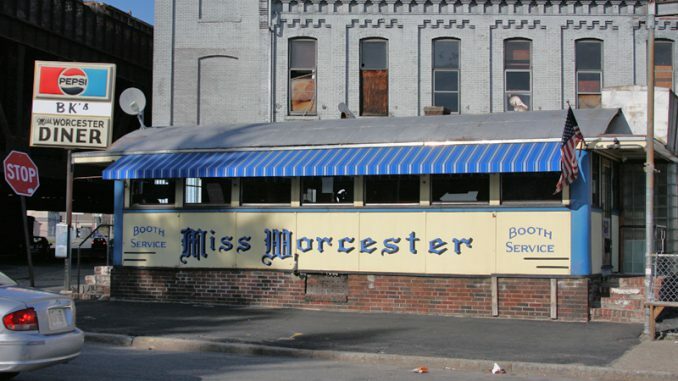 We were just at The Miss Worcester last week as my Grand Father was Louis E. Gemme and was a cabinet maker for the Worcester Lunch Car and Carriage Manufacturing Company. We spoke with the manager asking about the original Walnut booths that would have been inside and she mentioned that the benches/booths were now at the Johnson-Wales Culinary Institute but I do not know the actual location as there are several schools under the Johnson-Wales Institute brand. We thoroughly enjoyed the ‘typical’ breakfast/lunch fare and the nostalgia. My 89 year old aunt (one of the 13 kids in the Louis E. Gemme family, was a hit at the diner that day, and she enjoyed the spotlight. Additionally, Louis E. Gemme’s brother Charles (Charlie) Gemme was a Vice-President of the Worcester Lunch Car and Carriage Manufacturing Company , and he hired many of his brothers as craftsmen and painters for the Company. Until recently, I really did not know what my Grandfather Louis had done in his work life. When I was born, he was completing his career and by the age of remembering, I only knew him as retired and with a small business in his basement, sharpening saws and various blades of all sorts.